A popular option for people who want to enhance or improve their appearance is to invest in weight loss treatments such as liposuction. In the most basic definition, liposuction removes unwanted fat from the body. People continue following the belief that it is as simple as that. In reality, one small mistake during a procedure can have negative consequences for the individual. Following a botched liposuction procedure, the patient may experience fear and uncertainty about what to do. Other times, the patient wants to make certain changes that will reverse or correct the issues. While we offer patients various forms of liposuction, we also offer liposuction revision and correction. Liposuction works best when removing a smaller amount of excess fat. A patient who wants to remove a lot of fat will have a better chance with regular dieting or a bariatric procedure. Following liposuction, it is common for patients to experience loose skin or other issues. However, some people will find that the procedure results in the opposite changes than what they want. While there may be some pain following successful liposuction, botched liposuction can cause pain that only gets worse over time. If the skin begins to appear wavy or has bumps following the procedure, then it is most likely the result of the uneven fat removal. In some cases, these changes can become permanent. People may find that botched liposuction leads to temporary pockets of fluid forming under the skin, known as seromas. A fat embolism will occur when loose pieces of fat break away before gathering in the lungs or traveling to the brain. While this is rare, it is a medical emergency that requires immediate attention. People who are displeased with the results of their liposuction do not have to live with the undesirable and sometimes life-threatening results. One example of how we help patients who go through a botched liposuction procedure is with a skin tightening procedure. Patients with skin that is missing much of its original elasticity will fill find that the skin sags or droops after the liposuction. The skin tightening procedure can help to return elasticity to the skin to provide the desired appearance the patient desires. Since people are always searching for great deals and the lower rates, they may seek discounted liposuction in other countries. However, this is where the risk for botched liposuction is highest. It is important to seek professional medical liposuction from a credible practice, such as Rodriguez Rejuvenation. We also treat patients who are experiencing constant numbness near the area of the incision. We can help even out the bumps or waves on the skin that result from a botched liposuction. Liposuction is not the substitute for weight loss that media outlets push people to believe. Rather, it is a procedure to accompany healthy dieting and weight loss by removing the excess pieces of fat that will not go away with natural methods. 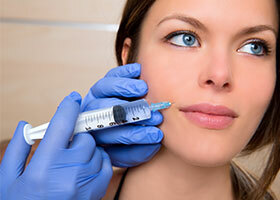 We will also review any after-care methods the patient needs to follow after the procedure. Our goal is to help you look and feel the way you want. We focus on helping you change your outward appearance to draw out your inner beauty. This way, you will find newfound confidence in your appearance instead of always looking in a mirror and wishing you could make changes. We will take the time to customize the procedure to the patient’s needs and take the necessary steps to avoid causing other issues. If you find that the liposuction procedure you received from someone else did not go as planned, give us a call. We can provide revisions and corrections in order to fix as much of the issue as possible. The first step is to schedule a consultation and begin the process toward the ideal appearance you want. Liposuction has been heralded as the weapon of choice in the battle of the bulge since its introduction in the U.S. in the early 1980s. And just like every other technology through the years, liposuction has advanced and evolved. On this page you’ll discover the various types of liposuction available at Rodriguez Rejuvenation – from traditional liposuction to the cutting edge technology of SmartLipo, Vaser Lipo, Mesotherapy and Lipodissolve. By learning these types of liposuction you will be able to make a more informed decision as to which liposuction procedure will best fit your specific needs. Vaser Lipo is another less invasive technique that uses ultrasounds inset of lasers. A less invasive and traumatic alternative to traditional Liposuction. This procedure is ideal for people who are seeking a totally non-surgical option. Which Houston Liposuction Procedure is Right For You? It’s important to mention that no fat removal technique is a substitute for a healthy diet and consistent exercise. As a matter of fact, in order to maintain the sculpted results of lipo bodysculpting, you really should make a healthy lifestyle one of your goals. But for stubborn areas of fat that won’t go away despite a sensible diet and exercise, liposuction, lipodissolve or mesotherapy might be the perfect solution. The best way to find out for sure is to talk with Dr. Rodriguez at LipoBody Sculpture of Houston. You can take the first step today by filling out a quick and easy inquiry form requesting more information about what fat removal solutions are available and what they can do for your appearance. Your questions and concerns about liposuction, Smart Lipo, Vaser Lipo, Mesotherapy, and Lipodissolve will be addressed promptly and thoroughly. We at Rodriguez Rejuvenation of Houston look forward to hearing from you.